Get home cleaning services in Delhi with a 30-Day Service Guarantee and Protection against Damage upto INR 10,000. We have Well Equipped and Trained Team, who carries out Deep House Cleaning and Sanitization with Non-Hazardous Chemicals. Book well-trained and experienced team from UrbanClap to get your home deep cleaned thoroughly at your chosen time and location. We offer the most affordable home cleaning services in Delhi for studios, apartments, and villas. Book home cleaning services on UrbanClap today. Prasanjeet and his team has done an excellent job! Very polite Each and ebey orner was done well and professionally. Yes you need to supervise and guide but they were hardworking and open to suggestions. Excellent job . Very cooperative staff specially Mr Swaroop their supervisor. The person was professional but I don't know with what he cleaned the new mirrors in my bathroom that it was left with patches of white which I couldn't remove even with Colin. Did a great job, well mannered guy, did not disturb at all, polite guy. Though they done their best but as per my point of view their best is not upto my expectation. kriti hired Limelight Facility (OPC) Pvt. Ltd. The professional was courteous and looked like he was cleaning well, but when i checked later, some of the shelves had garbage in them. Otherwise all okay. radha soodhired Limelight Facility (OPC) Pvt. Ltd.
Amit and his team were very professional and did a fantastic job! Excellent cleaning done by a team of 6 professionals. They diligently paid attention to every aspect of cleaning and left the complete house sparkling clean. Very professional and efficient workers. Soft spoken and responsible too. Overall the team did a fairly good job. They stayed for 12 hours to finish up the cleaning, which was very impressive on their part. However, considering it was a 2000sq ft 3BHK, they should’ve sent 4 people for the cleaning, it would’ve then taken lesser time. If you book these guys, make sure you ask for Dharmendra and Sachin as they both take their job pretty seriously and do it well. Anil, their supervisor however didn’t meet the urban clap standards. He was constantly talking about how certain things can’t be cleaned and had to be pushed for everything. Statisfied with services.. team leader sunil is very hardworking and dedicated guy. But some guys in his team are not that serious towards there work.. But it happens sometimes.. Anyhow, great service and nice work. Home deep cleaning includes everything that a standard cleaning by a house maid will not. For starters, the equipment and the number of people involved in the process are more. A manual cleaning would usually just involve sweeping the floor, dusting and perhaps cleaning the ceiling fans grudgingly. Home deep cleaning includes cleaning every nook and corner of your house in the best way possible. UrbanClap’s promise with home deep cleaning service (and every other offering we have) is to give you: highly trained professionals who hold the highest standards of quality, high quality of products- cleaning agents that are professional grade & customer protection against any damages. If you book the home deep cleaning service from UrbanClap, here is what is not included in the service: cleaning of utensils, walls and ceiling, floor polishing, wet shampooing of blinds, chair, sofa and carpets & polishing of wooden furniture. It depends on the service, the package you choose and the size of your house (number of bedrooms). At the time of booking, we give you a fair idea of the duration of the service in the "view details" section. On an average, home deep cleaning takes about 6 hours. We give you the provision to pick the service in its entirety by booking a full deep cleaning service or just select services that cover certain parts of your house. Apart from the many options available, you can simply go for the balconies and window cleaning package. Yes, we do. If you do not wish to go for the home deep cleaning service, you can choose any specific service or a package in furniture cleaning. The products used by our professional deep cleaners are of the highest grade in the market and are safe for pets as well. Ideally, it would be better if you are home to ensure that the job is done to your liking. If there are particular areas in your house where you need more attention, you can always communicate that to the cleaning professional. There are no extra charges or hidden costs involved. What you see on the app, is what you get. When you book the service, there are details given in the app of what you can get for the money you pay. It doesn't matter if your house has never been cleaned or has been cleaned regularly. Yes, we do. You can log on to the UrbanClap app and search for office deep cleaning in the services section to check the availability of the service in your location. We clean anything from a studio apartment to a villa. The options on the app give you the provision to book any type of home deep cleaning service. If you do not find your option on the app, get in touch with the professional by selecting a service closest to what you want and communicate the same to the professional, to find out the right cost. In case you face any issue, give our customer service center a call. We request you to remove all the expensive and valuable items from the cabinets and the wardrobes before the internal cleaning begins. Anything kept outside or in a showcase or a trolley also needs to be removed. Apart from this, we recommend you have a detailed discussion with the assigned professional so you can communicate your expectations from the service. At UrbanClap, we hold the highest standards of quality, which is why, becoming a partner on UrbanClap is a long process that has multiple levels of quality checks. We also hold the customer reviews in the highest regard and urge you to leave a pleasant or an unpleasant review based on your experience. If you face any issue with the service, our customer care service center would be happy to help you with the same. All professionals available for home deep cleaning service on the app are verified by UrbanClap. They are professionals with significant experience in the field and have detailed profiles that are visible on the app and our website. Does deep cleaning your house seem like an overwhelming chore to you, and you do not know where to start? Don’t worry! Plenty of people feel that way when it comes to cleaning their homes. The good news is that there is a simple solution to this problem which is hiring professionals offering home cleaning services in Delhi from UrbanClap. We also offer specific services like kitchen deep cleaning, bathroom deep cleaning or sofa/mattress cleaning if you don’t want to get your entire house cleaned. Effective Cleaning: The cleaning professionals are trained in using different tools and products to clean your home. Some of them are quite harsh and only professionals know how to handle such products. Therefore, it is a better bet to hire professionals for house cleaning services rather than struggling to do it yourself. Maintain Hygiene: Dust, allergens and germs may lead to breathing difficulties, allergies and diseases. If you have pets at home, regular pressure vacuuming of carpets and sofa helps remove the fur which, if not cleaned regularly, also leads to breathing difficulties. 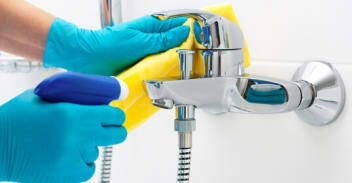 The cleaning professionals sanitize your bathroom, kitchen, floors, carpets and sofa so that all the germs and allergens are removed or killed from your home. 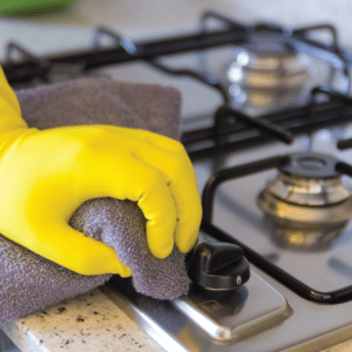 Reduce Stress: If you get stressed out by all the cleaning chores you need to do to maintain your home, you should book a professional home cleaning service for yourself. The cleaning p rofessionals can carry out the tasks effectively while you get some time out for yourself and relax at home. Improves Health: After home deep cleaning, the air in your home gets cleaner due to the removal of dust. 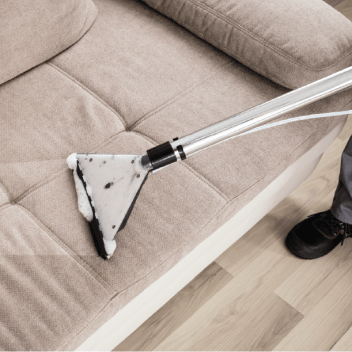 The furniture becomes germ-free because of pressure vacuuming and your home gets bacteria and pest-free. Your house smells fresh and looks clean as well. And, there are no spots that can act as a breeding ground for these germs. Every 2 months, to keep your home clean and allergen free for your family. Before moving into a new home or after renovation work. Before or after a party or get together. 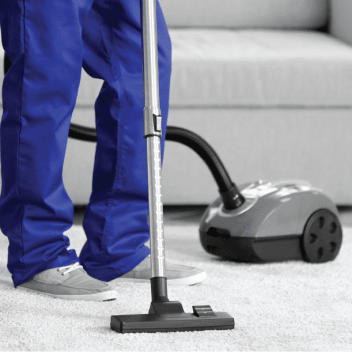 Complete cleaning and sanitation: From pressure vacuuming to sanitizing the entire house, the UrbanClap cleaning professionals make sure to deep clean your home thoroughly that provides lasting effects for 2-3 months. Well-Trained & Verified Cleaners: All UrbanClap professionals are trained and taken through levels of background verification before getting on board to ensure the quality of work. Insurance Against Damage: With UrbanClap you get insurance coverage up to Rs. 10,000 on every booking against any damage. Usage of Professional grade chemicals: Considering the hygiene of your house, we at UrbanClap only use Professional grade non-hazardous chemicals for home deep cleaning. Flexibility: UrbanClap provides you a comprehensive professional home cleaning service to meet all your cleaning needs at your chosen location and time. Kitchen Deep Cleaning: Deep cleaning of external surfaces, cabinets and appliance exteriors, and removal of grease and oil stains. Bathroom Deep Cleaning: Deep cleaning of floor, WC seat, sink, fittings and walls. Living Room, Dining Room & Bedroom Cleaning: Deep cleaning of floor, windows, furniture, light fittings. Balcony Deep Cleaning: Deep cleaning of floor, grill work and windows. Sofa & furnishing Cleaning: Sofa vacuuming/shampoo and dry vacuum cleaning of carpets, and curtains. Other areas: Cleaning of doors, cupboards, handles, wardrobe exteriors, fans, lights, windows, railings, cabinets, and switchboards. What are the Equipment And Chemicals Used? *Prices may vary during sale time. What Other Cleaning Services Does UrbanClap Offer?